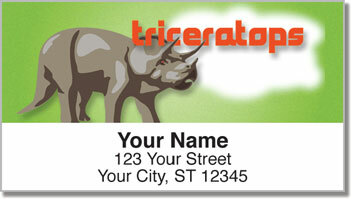 At CheckAdvantage, we're intrigued by the names of dinosaur species and what they mean. For example, did you realize that "tyrannosaurus" means "tyrant lizard" or that "triceratops horridus" means "three-horned face"? 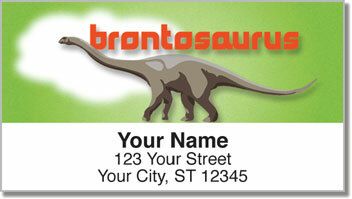 We also like the literal translation of "brontosaurus" -- it means "thunder lizard"! The moniker probably has something to do with the thunderous sound an approaching brontosaurus would've made; after all, it's hard to be light on your feet if you weigh over 23 metric tons! 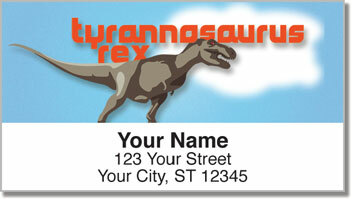 Now you can ghare your appreciation for all things dinosaur every time you prepare an envelope for the mail. 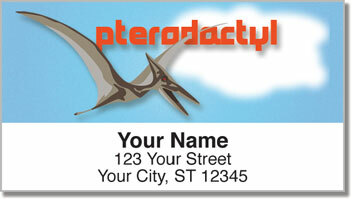 Just use these handy Dinosaur Species Address Labels from CheckAdvantage. Don't delay -- make them yours today!